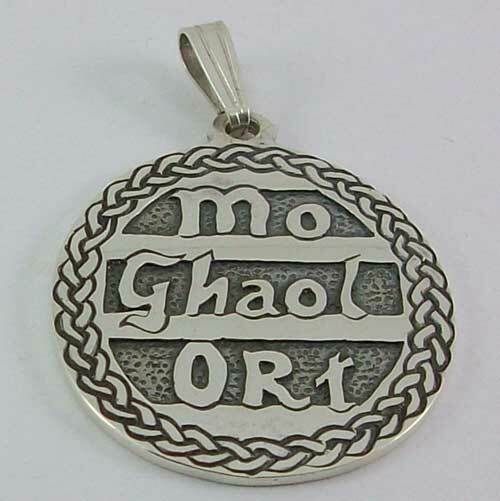 This Gaelic phrase Mo Ghaol Ort (pronounced Mo Goul Orched) is enscrypted into our sterling silver celtic pendant. The phrase means 'My Love On You' a token of friendship or love. I love this pendant. The picture really doesn't do it justice. Its much shinier than it looks in the picture and its more oval shaped than round, it really is a beautiful pendant. I intend to give it to my Husband to be on our Wedding day as a token of my love for him.